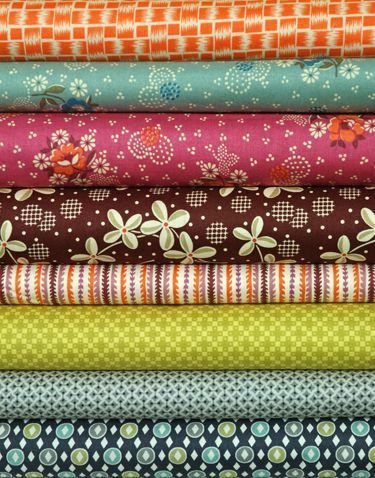 Inspired by the can-do community attitude and creative, homey economics of the depression era, Hope Valley is a quilting-weight fabric collection by Denyse Schmidt. The warm and cozy hues take their cue from a vintage-tinged country landscape. Eight beautiful prints in three warm and inviting color families evoke a feeling of possibility and down-home hospitality. View the collection here! Order any (or all) of our quilt patterns that feature Hope Valley fabrics: Cog & Wheel, Hills n Hollers, The Proverbial Quilt, Stacking the Odds.